of the financial system in Malaysia. The bond-free scholarship is offered on a yearly basis to a maximum of 20 successful applicants to undertake up to 4 years of undergraduate studies locally. 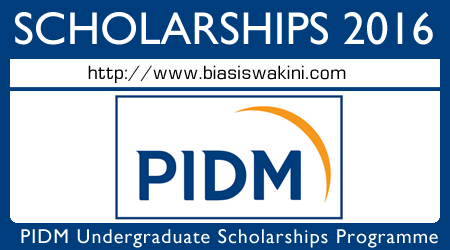 How to apply PIDM Undergraduate Scholarship 2016 ? 1 Komentar untuk "PIDM Undergraduate Scholarship Programme 2016 - Biasiswa PIDM 2016"